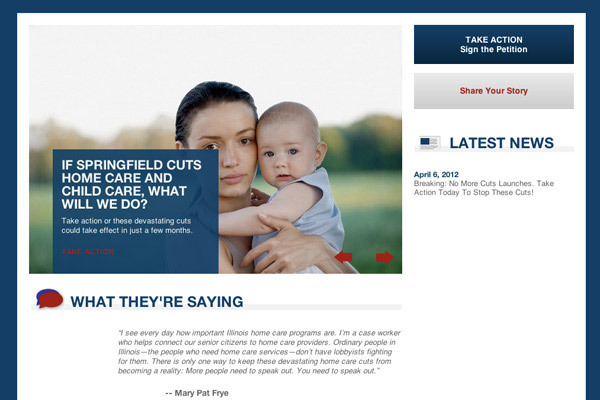 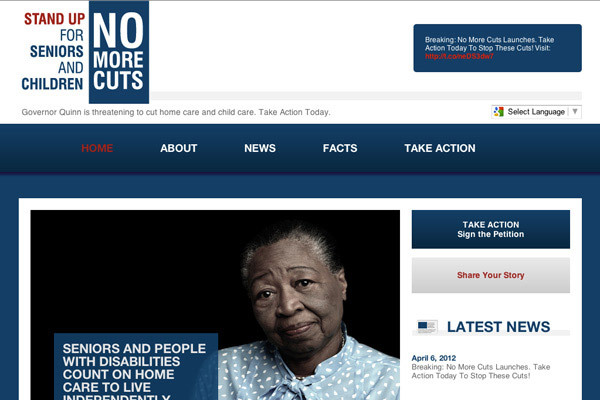 In record time, Social Ink put together an advocacy and grassroots organizing website for No More Cuts Illinois, fighting against government cuts for home care and child care funding. 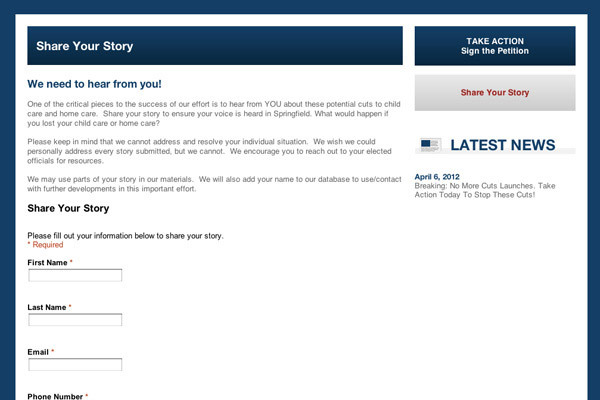 Social Ink developed a campaign-optimized CMS, integrating a Twitter feed and a petition platform for gathering signatures, along with news updates and contact forms for citizens to share their stories. 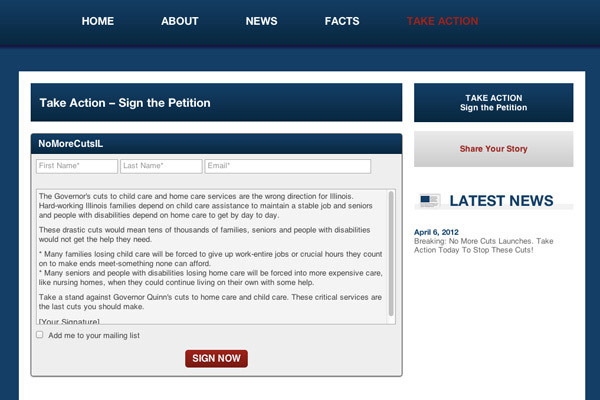 Specific functionality included web hosting, CMS development, interface design petitions, and slideshows.